Over the past few years, the small format digital console market has taken some huge leaps. Before, the Yamaha LS9 kind of had a lockdown on the market simply because it was one of the only consoles in the price range with those capabilities so, naturally, it became popular. In recent years, that has changed significantly with the release of consoles such as the Presonus StudioLive, Roland V-mixing system, Soundcraft Si compact series, and now Allen & Heath’s GLD series. I have heard of some people comparing the GLD to the Avid SC48 and honestly, I don’t think that’s fair. 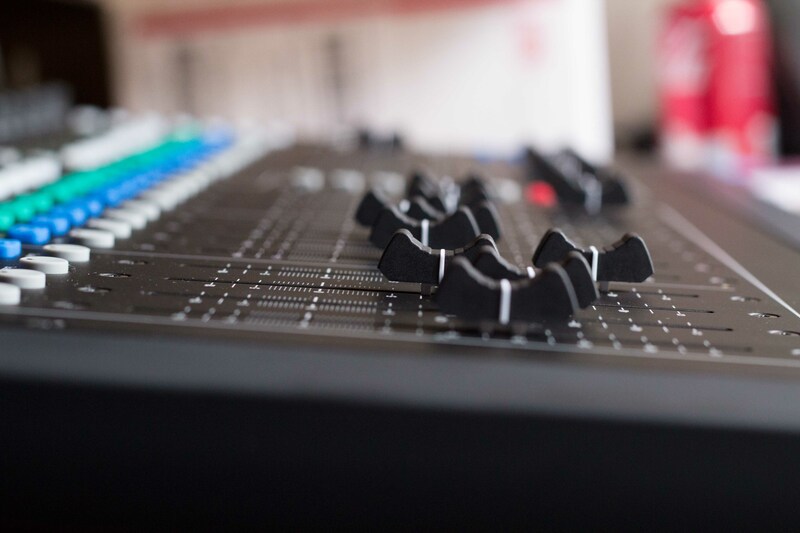 The price range is vastly different and you would be better advised to compare the SC48 to the Allen & Heath iLive T112 with an iDR-48 stage rack as they are way more comparable. At National Community Church, we already have two iLives (a T112 with an iDR48 and an i112 with an iDR10 modular rack) and our volunteers love them because they are so easy to mix on and sound great. I’ve been mixing on the iLive among other consoles while I was at Valley Forge Christian College and have almost 5 years of experience with Allen & Heath digital consoles. When we were looking for NCC’s theater locations to replace our analog GL consoles and Whirlwind snakes which are starting to show their age and the GLD was released, I knew this was the console for NCC. 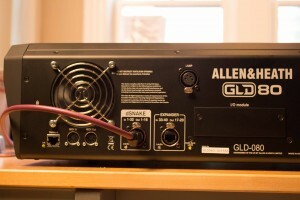 Unboxing the GLD, I was impressed by how light it was yet how well built it felt. 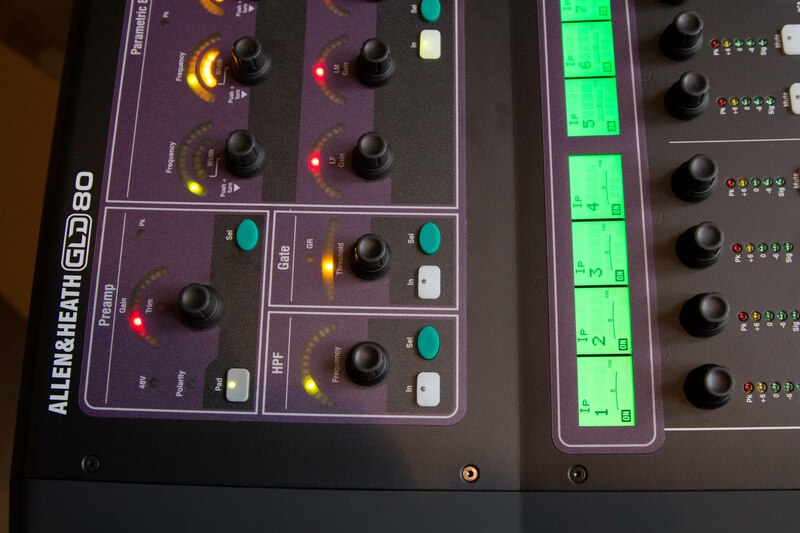 The faders have the same feel as it’s big brother, the iLive and the rotary encoders felt way more solid then pretty much any other digital console on the market. The chasis as surface are made out of metal which I didn’t expect given that the T-series iLive is basically all plastic. The buttons on the console are now rubber compared to the plastic ones on the iLive. It feels good- I like it! 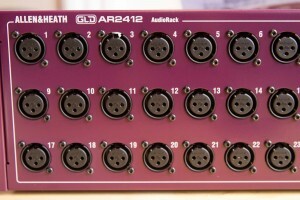 On the back of the console, it has 4 XLR inputs as well as 4 RCA inputs. 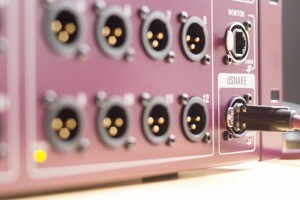 There are a variety of outputs on the back of the console which include 4 XLR jacks, 2 RCA, S/PDIF as well as AES. That’s quite impressive for a console as small as the GLD and should allow the user to easily connect to any speakers or system processor while still having some extra outputs for a CD/Flash recorder, and even that annoying guy that always asks for an audio feed for his video camera at the last possible second. An INCREDIBLE feature of this console is the I/O module slot that is compatible with all of the small cards that Allen & Heath already makes. For me, that means Dante which I’m a huge fan of already and the fact that I can have it on my GLD, is basically audio bliss. So cool! But, it also means cross compatibility with the iLive if you use an ACE card or and Ethersound card if you’re running an older iLive system. 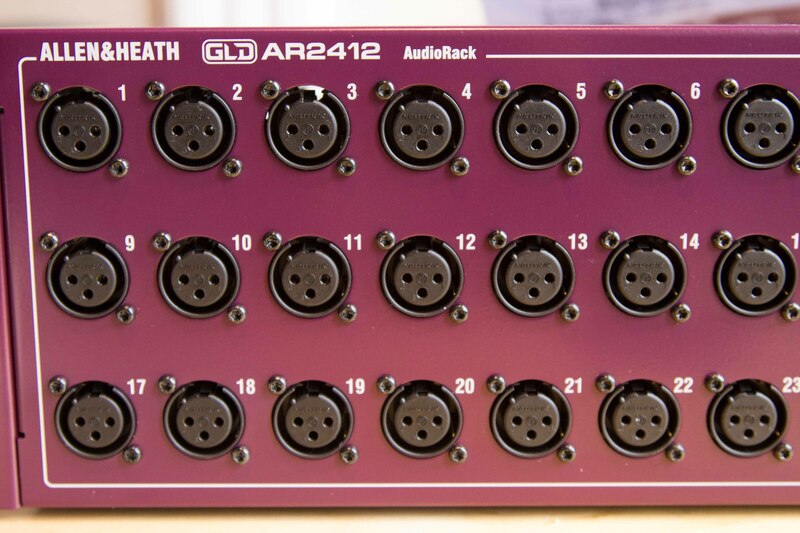 The GLD AR2412 stage rack is also extremely light weight and could be easily mounted in a small SKB case. 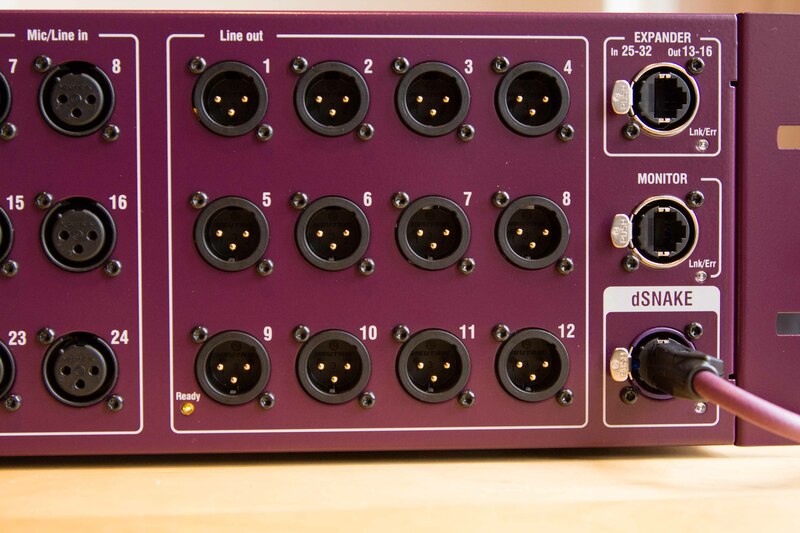 It features 24 inputs and 12 outputs which should give you quite a bit of flexibility to start with on a small format console like this. It came with a 6 foot CAT5 in purple that matched the console (yay, the color matches!) which is great if you’re doing a basic analog console drop-in replacement. So I plugged in the CAT5 cable into GLD AR2412 stage rack and turned both on. It booted extremely quickly which is cool so I was able to quickly dig into the work flow of the console. Moving forward through the signal flow workspace area, you have an easily accessible high pass filter, access to the Threshold control of your gate (with the rest of the gate controls available on-screen simply by hitting the select button), followed by a fully sweepable, fully Q’able parametric EQ. If you press the select button in the Parametric EQ section, you’ll be able to bring up the graph on the screen. The sweepable and filter controls act like any other parametric EQ and the Q controls are easily accessible by pressing and hold the frequency knobs down while turning them making the workflow very quick and easy. 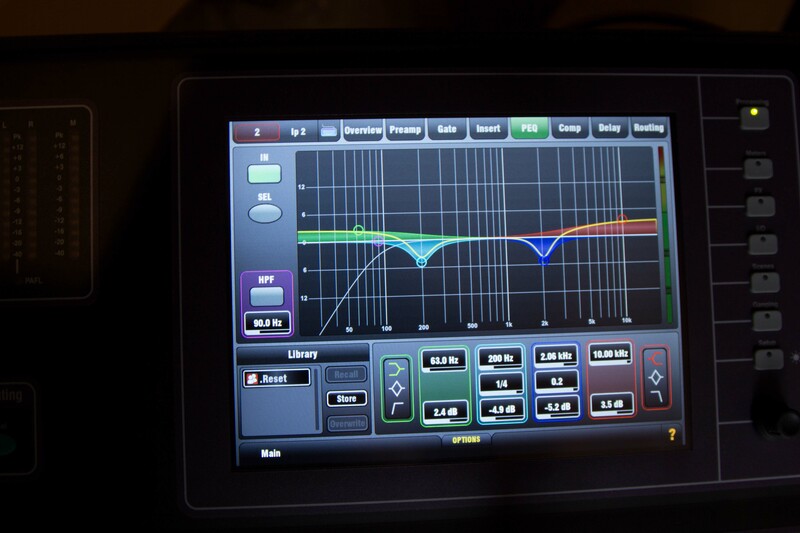 You can easily switch between shelving, cut, and standard filters for the high and low sections of the EQ on the screen. The compressor controls are next up giving you on-surface control of the threshold, as well as the ratio and output gain when the knob is pressed down similarly to the Q access on the parametric EQ. Channel routing is accessable by the select button at the end of the channel strip which brings up an on-screen menu allowing you to access controls to route that specific channel to any group, aux, fx, DCA and also features a direct out level control as well as a selector for you to control where you would like the Direct Out to be fed from (option are: Post pre, post gate, post insert return, post PEQ, post Comp, or post Delay). You can also select whether you would like the Direct out to follow the fader (post fade function) or follow mute or a combination of both. That’s a ton of flexibility for a small format digital console all packed into each of the 48 channel maximum! On-screen menus are extremely easy and self-explanatory because you simply touch the option you’d like to access and if it has a value in that parameter it’s automatically controllable by the encoder to the bottom right of the screen. The channel strips are similar to the iLive if you’ve mixed on one of those before and are easy to figure out if you’re a “first timer”. The function of the channel is on the top of the LCD. IP is input, DCA is DCA, FX is effects…you get the picture. The strips can be named under the “Control” tab of the Setup screen. It has eight colors available as well. iLive users will notice that white is now a channel strip color…cool! 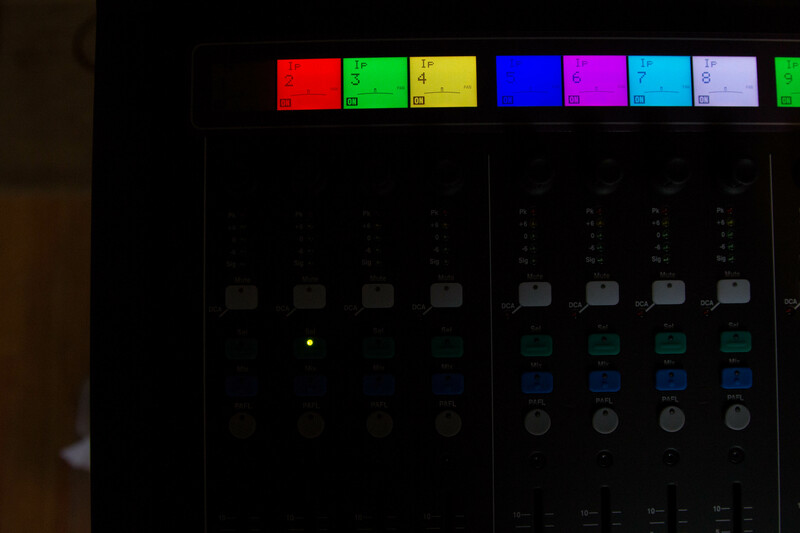 Each channel strip has a mute button with a DCA mute light next to it letting you know quickly if you’ve “double-muted” something on a channel and a DCA assignment. Select, mix, and PAFL buttons are on each strip as well. In the center of the console, it gets a bit interesting. You have the ability to select the function of the rotary faders. It has a button for gain and pan as well as two custom options which allow you to set up a specific aux or effects send. An interesting option to note is that in the console configuration, it does not have a LR + Sub option. Obviously, that’s easily remedied by creating a post fade aux and setting it to a custom rotary function on the console but, I just found it odd that since the iLive series comes configured in a LR + Sub set up by default. Not a problem, just an observation…take that how you want. The center of the console also includes Bank 1 layer controls as well as Copy, Paste, and Reset functions which can be held down while you press the select button of any parameter on the console to reset to its default. The right side of the console has 10 user assignable soft buttons as well as layer selections for Bank 2. 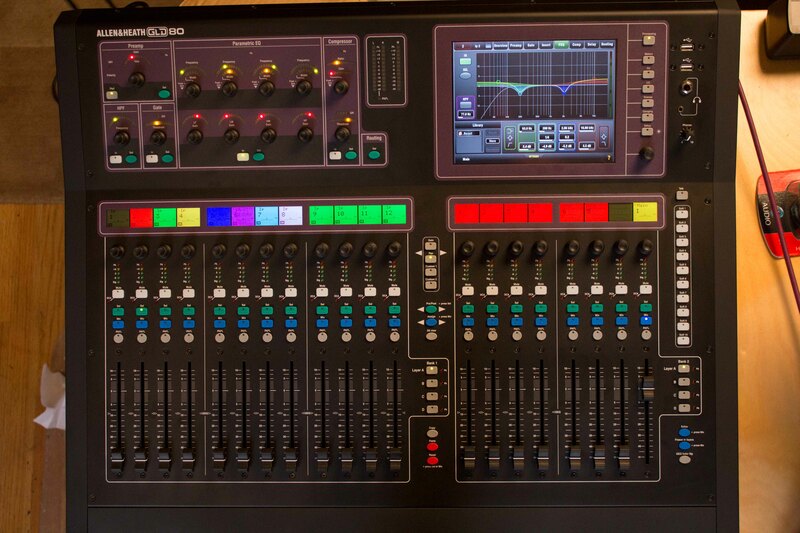 It also has a scene safe button, freeze in layers, and GEQ fader flip for flipping the graphic EQ parameters to the console faders for extremely easy control while tuning room or ringing out a monitor send. The home screen shows you at a glance what’s connected, the firmware, the time (so you don’t have an excuse to pull your cell phone out during church anymore you sinner) and has a customizable area for metering. Oh and don’t forget the nifty GLD logo for all of those gawkers who crane their necks to see what the cool kids are playing with in the back of the room. Now for one of my favorite features of the console. A little button to the right of the touch screen called “Meters”. Press it and you have in front of you every level on the console easily accessible through the tabs at the top of the screen. The first tab has every input level which is a huge deal when you’re mixing a larger group. You can see everything…making it easy to find that channel that is clipping or to just get a quick overview of how pretty you’re sittin’. You can also take a look at your FX levels and Mix sends which include your Mains, Auxes, Groups and other sends. 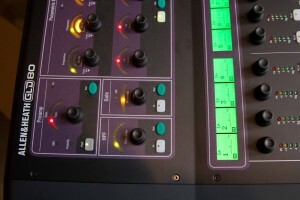 FX also have an easily accessible button just below the Meters button which will display the 8 FX racks available. I believe the GLD has the same effects as the iLive has. You can assign an effect by selecting an empty rack and then touching “Library” on the left side of the screen. This brings up all the factory preset effects and allows you to select any you have stored or have on a USB drive. Next in line, is the I/O button which brings up a complete graphical interface making patching a breeze. Select a tab at the top which will determine whether you are routing the dSnake rack, surface, I/O port in’s or outs, as well as the monitor output. The monitor output is where you would assign Aviom outputs. This is a very different routing menu for Allen & Heath compared to the iLive socket letters and numbers; totally graphical and takes some of the guess work out of figuring out which socket is where in the sequence for applications where you aren’t simply patching a range one-to-one. Scenes is simply. Type a name, hit store and you’re good. Select it, hit recall, you’re back in business. Any questions? 🙂 The recall filter is awesome as far as features on a small console go. It allows you to select exactly what you want to recall and what you don’t want to recall. Ganging: Why does this need to be a button? It basically allows you to link selected channels together. You choose what parameters you want to link in the menu including HPF, Delay, Gate, PEQ, Mutes, Pans, Compressors, Routing, etc. Which is a cool function but why is it a button? I would have much rather had a quick access button for “Strip Assignment” or “Name and Color” which are buried in the Setup button (the next button down) two menus deep. Or maybe easy access to the USB playback and recording function. The fact that there is a dedicated “Ganging” button is a fail in my opinion. Poor user access to a key feature that is used WAY more frequently then Ganging…I mean unless you’re mixing a mass choir all the time and even then, I wouldn’t gang choir mics in any way other then maybe EQ while I’m ringing them out. Even then, I’d probably do them individually and simply copy and paste the EQ settings rather then going through the trouble to gang them. For uniform control, I’d put them in DCA’s or audio groups- not gang them. 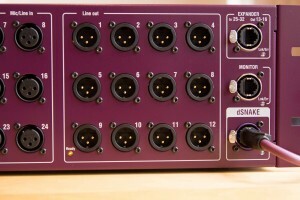 It has 16 DCA’s with more audio groups if you allocated DSP for them on a console that maxes out at 48 channels tops. Holy cow! If you use all 16 DCA’s on this console and the groups…well, you’re OCD and you probably used all 8 gangs too. Seriously? All that to say, I’m confused as to why that’s accessible directly on the surface and not in a setup tab somewhere. Setup: This is where all the action happens. It’s got 5 tabs at the top which opens up quite a few well sorted menus underneath. A notable option in there is the USB audio menu under the Audio tab. The console has two USB ports to the right of the screen which allow you to play audio files back from a USB drive as well as record. However, I plugged a USB drive into the recording USB port and was able to play back audio files and record to the same USB drive SIMULTANEOUSLY. The controls for playback and recording are easy but the progress slider for playback isn’t easy to scrub with. Also, under the control tab is a strip assignment menu that allows you to drag channel strip assignments around the surface and banks. It’s a fully graphical surface routing system that is definitely more user friendly then the iLive’s, however I think it might get confusing if it had as many channels as the iLive is capable of so I’m fine with them leaving the iLive as is. Name and Color is right next to Strip assignment making the progression through the setup menu natural and intuitive. In the setup menu, you can also assign softkeys, surface prefs and screen and surface brightness to name a few things. Since I have only played with it today, I haven’t mixed a gig on it yet. I’ll certainly blog about my opinions on that as soon as I have mixed a show on it because I’m sure alot of people are getting to this part of the review and screaming “BUT HOW DOES IT SOUND? !” at their computer screens. I know, and it’s coming…don’t worry. I’m really interested in everyone’s opinions on this console. I’m a huge fan of it. It’s not perfect but then again, what console is? Feel free to comment and chime in on the conversation. I don’t type huge reviews to be the only one talking! If anyone has questions about the functionality or how the console works, please let me know and I’ll do my best to answer. 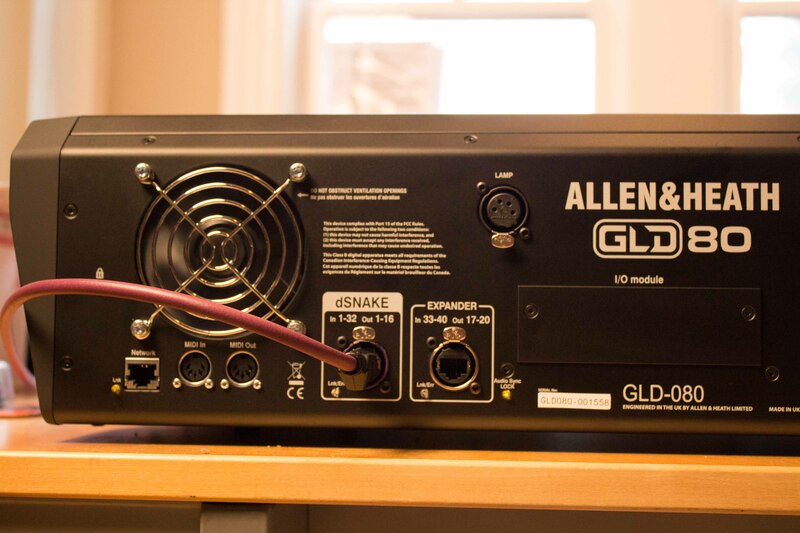 Some further reading that you may consider is a post by Peter Wituszynski on my site comparing the Allen & Heath GLD to the Midas Pro1. That’s a great question. Since the DSP is all in the console, it has the processing power to handle more channels then are physically available. So, YES! You are able to assign two unique channel strips to one preamp. You have independent EQ, gates, compressors on each channel fed by one preamp. This is accomplished by selecting the channel you’d like to use and then selecting the preamp for that channel. In there, you can select what pre you’d like to assign to that channel even if it’s already assigned to another. So, what you’re looking at doing is a completely feasible option as long as your willing to scrap the surface channel pre’s so that you can route channels 25-48 to dSnake pre’s 1-24. Hope this answers your question! awesome! that is definitely something I want to look into for small bands on IEMs. Even if its 20 channels + the surface or whatever, that’s enough for a 5 piece rock band assuming you don’t need to go mic crazy on cabs and drums. If you can really “gang” DSP settings, you could gang up the gate/comp between the 2 channels and leave EQs and FX sends separate. You absolutely can gang together the gate/comp on the two channels while still leaving the EQ and fader levels separate. You can also select whether you’d like to gain the mutes, pans, routing, delay, and HPF as well. So, it’s super flexible. Other then for a purpose like you mentioned, I can’t say I’m a major fan of ganging. Love to hear what your experiences and thoughts are like if you get your hands on the GLD! We have had our system integrator supply a quote for this system (as well as the 24 ch PreSonus StudioLive and Behringer X32). Just wondering if you have had any live hands on experience you could follow up this post with? Also, with the 10 x softkeys down the RHS, could one of them be assigned as a shortcut to ‘Setup > Audio > USB Recording’? We are looking at a Digital Mixer for our very first church building. We have had our heart set on an LS9/32, and are currently using a M-400 in a community venue, with a digital snake. It wasn’t until I saw the price of digital snakes for LS9/32, that I started looking elsewhere for another desk. 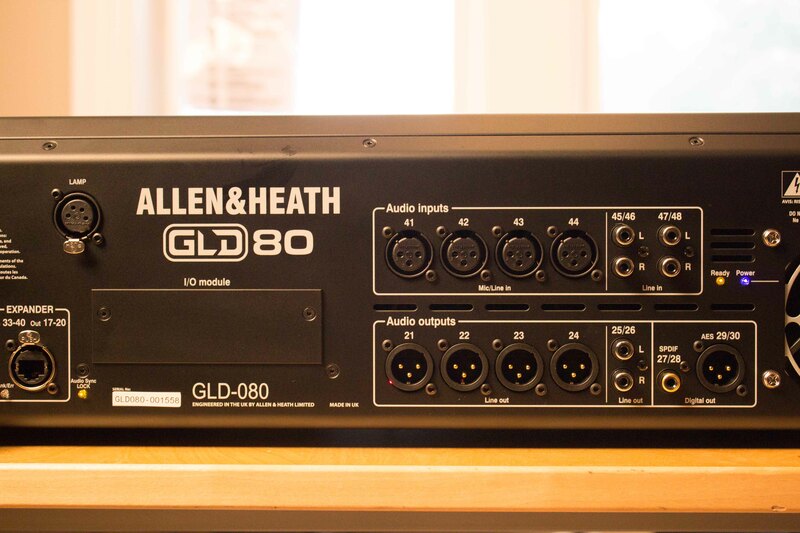 Enter the GLD-80, with native digital snake instead of all the inputs on the desk (LS9/32). 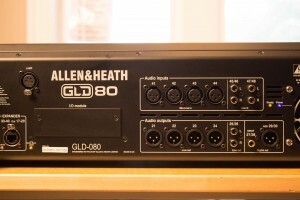 I like all the features of the GLD-80, minus the “no iPad app” (yet). But I am having a hard time convincing the other Sound Tech, that is deep in love with the LS9/32, and Yamaha, given previous experience with an M7CL. I need some convincing arguments in favor of the GLD-80. Your post is awesome in singing the praises of the desk, but would you know of anyone that has done a comparison to the LS9/32? 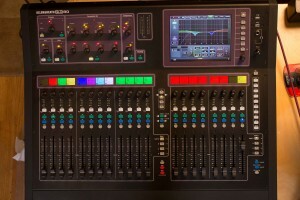 I look for a Live AND Studio console, digital and rather compact. 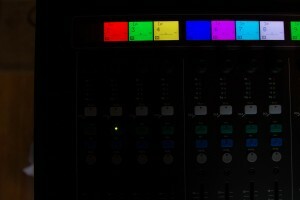 I would like to know if you have some experience with the GLD80/112 in studio use. I know that with Dante Protocol, i can assign tracks into my DAW (Live 9 for me) and re-route them in the console. Does it works well ? Is it possible to use any midi protocol to command the DAW faders/Mute/solo with the GLD faders ? Have you any objections/limitations for the use of the GLD in the studio ?